taken the AN-26 in the TS-24, and unfortunately, these posts were very wrong. Ein report of J.Scheiner, The white auxiliary aircraft of the Bundeswehr. This report was sent on missions that are not dealing with the AN-26 was. Technical details, liveries and badges displayed as unexplainable. A correction was rejected by the publisher! The report by Manfred Meyer on the use of the AN-26 in the TS-24 contains some bugs which were in thorough research can be avoided. 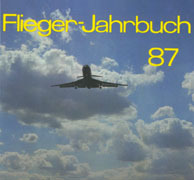 In the third volume, "Airplanes of the GDR", the error from the output of Fliegerrevue were shown 10/2000 right! Sadly disappointed this recently published book by Aerolit. The 34 pages of the section from 1963 until the dissolution of the TS-24, the time of the season in Dresden Klotzsche are very wrong and dealt with superficially. Striking is a certain incoherence. Abrupt jumps in time and topics prevent continued attention to the chronology, although the portions were divided chronologically. In Section 1963-1971 is this fact so striking. The errors and inaccuracies are continued until the end of the book. The book is not a recommendation for interested sense of history and aviation lovers.